Fujicolor Crystal Archive Super C Paper 4" x 575' is an RA4 processed, RC (resin coated) color print paper. A traditional color paper that is designed for optimum performance from large digital systems, as well as conventional color darkroom processing. 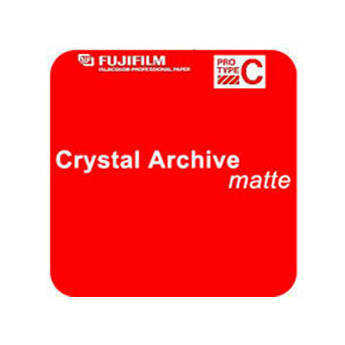 Fujicolor Crystal Archive Professional Paper Super C produces bright, crisp commercial prints from laser printers and other digital exposure systems, with unsurpassed, world-class color image stability. Ideal for meeting professional photographers' needs for exhibitors, advertising and other commercial photo applications, this paper delivers rich tonal gradation, vivid color reproduction, exceptional sharpness and unsurpassed color stability.